Why See King Gizzard and The Lizard Wizard? 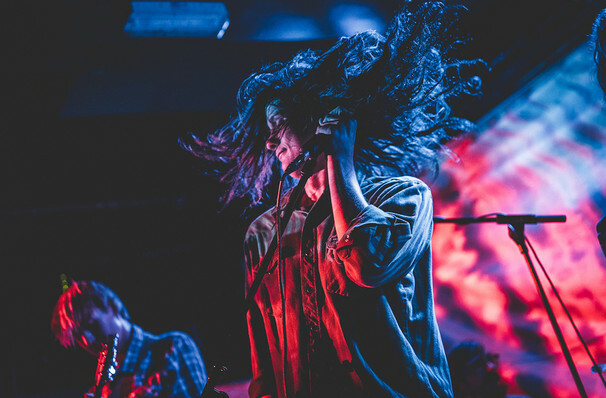 With a name like King Gizzard and the Lizard Wizard, it's safe to say that the Australian psychedelic rock outfit march to the beat of their own cosmic drums. Known for their incredible work ethic, the band have a whopping 13 albums to their name. With the promise of new material the seven-piece head out on their biggest tour yet! Best known for releasing five albums in one year (!) the celestial septet are known for their high octane, no-holds-barred live shows, infusing the euphoria of their swirling, epic jams with boundless, electrifying energy. Enter a mystic world once occupied by the likes of Frank Zappa, Black Sabbath, Deep Purple and Led Zeppelin, where King Gizzard blur the lines between vintage-era rock 'n' roll, prog rock and a bold vision of psych's future. Seen King Gizzard and The Lizard Wizard? Loved it? Hated it? Sound good to you? 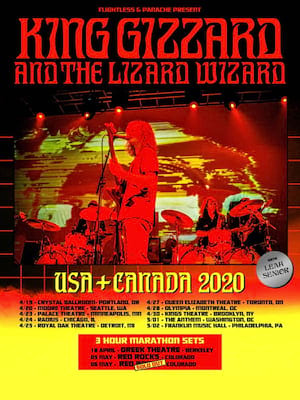 Share this page on social media and let your friends know about King Gizzard and The Lizard Wizard at Greek Theater. Please note: The term Greek Theater and/or King Gizzard and The Lizard Wizard as well as all associated graphics, logos, and/or other trademarks, tradenames or copyrights are the property of the Greek Theater and/or King Gizzard and The Lizard Wizard and are used herein for factual descriptive purposes only. We are in no way associated with or authorized by the Greek Theater and/or King Gizzard and The Lizard Wizard and neither that entity nor any of its affiliates have licensed or endorsed us to sell tickets, goods and or services in conjunction with their events.